When Elaine Willman was a kid, her father worked as a traveling insurance salesman. Her family moved often; in second grade, she switched schools seven times across the Pacific Northwest. “I really don’t have a hometown,” the 75-year-old told me last weekend at a property rights summit in Whitefish, Montana. “But I have a home country.” When Willman dies, she wants her ashes spread at Plymouth Rock, where early European settlers arrived on this continent. Elaine Willman, board member and former chair of CERA, a non-profit that seeks to abolish tribal sovereignty, claims to be Cherokee. This same combination of placelessness and traditional American patriotism “is probably where I’m coming from with the things I worry about in this country now,” she said. 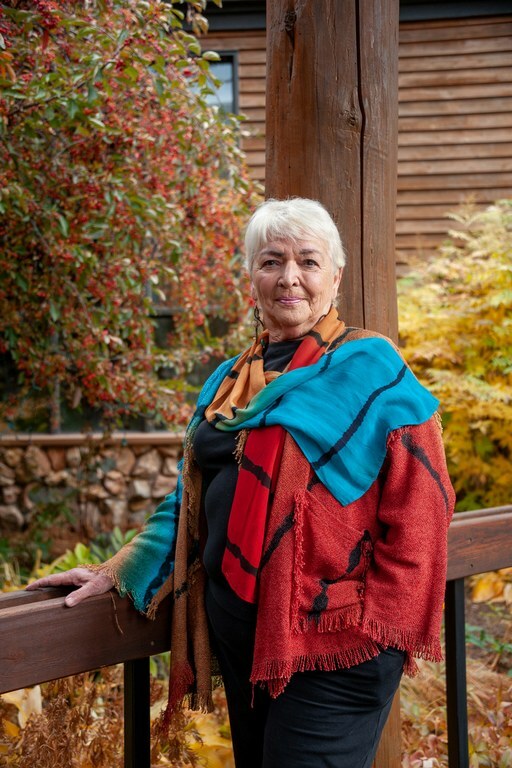 Willman is a board member and former chair of the Citizens Equal Rights Alliance (CERA), a nonprofit that advocates abolishing tribal sovereignty, treaties and Native American governments, and claims most federal Indian policy is unconstitutional. She says she has lived on three Indian reservations, and is of Cherokee descent, though Cherokee Nation officials told HCN she is not an enrolled member of the tribe. “Why aren’t we just American citizens?” she asked the crowd at the New Code of the West Conference, which was organized by a close associate of Willman’s. It brought together conservative media personalities, state legislators, natural resources attorneys and far-right activists. Willman appeared alongside major figures in another fringe Western movement, the Sagebrush Rebellion, which advocates that federal lands be placed under state or local control. This fellowship illuminated an implicit, darker reality of the sagebrush rebel agenda that people like Nevada rancher Cliven Bundy rarely address: The vision of less, or no, federal control also undermines the role of sovereign Native nations in managing Western lands. 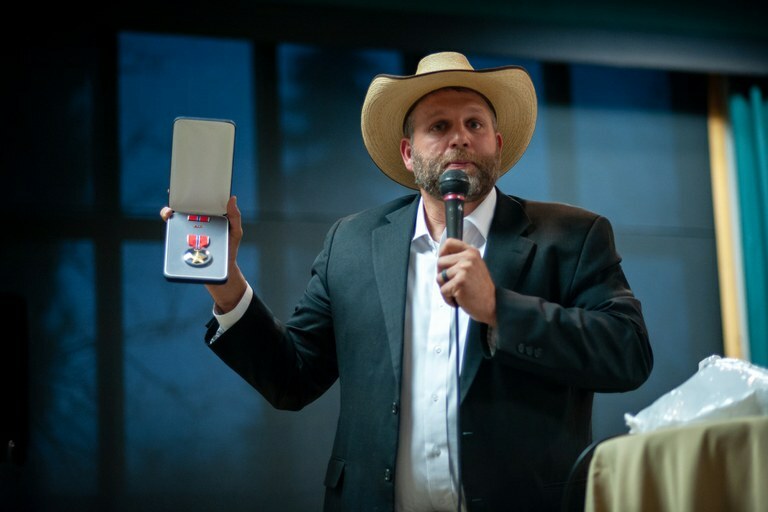 The sun was sinking outside the Grouse Mountain Lodge by the time the event’s most anticipated speaker approached the podium: Ammon Bundy. The son of Cliven Bundy, he famously led the 2016 armed takeover of Oregon’s Malheur National Wildlife Refuge, claiming that federal management of public lands is unconstitutional. His presentation on Saturday mirrored others he has given across the West in recent months: He began by describing his beliefs about states’ rights and ended with a heartfelt call to the audience members to take a stand in their own communities, as he had done. It’s rare that Bundy doesn’t get a standing ovation and this time was no different. What was different was the fact that he spoke alongside Willman and others who framed white Americans as the victims of federal policies they say favor tribes. Earlier in the day, Alex Newman, who rejects climate change and writes for the John Birch Society’s New American Magazine, described Native Americans’ struggles to regain ancestral lands today as part of a worldwide conspiracy. Newman is an evangelist of the well-known conspiracy theory Agenda 21, which claims the United Nations and environmentalists are working to take over the U.S., steal private property, and commit genocide. The UN wants the U.S. to “give back all the land (to tribes), even Mount Rushmore,” he said. “Why? Because the global elites want to control it.” In fact, Mount Rushmore is part of the Black Hills, which was once Sioux land and promised to them in an 1868 treaty, before settlers mined and homesteaded the region. Speakers also waded into longstanding fights involving tribal control of water, including the proposed Flathead Water Compact, which would uphold certain Confederated Salish and Kootenai treaty rights. Willman moved from Wisconsin to Montana to fight the compact. Ammon Bundy sheds tears while presenting objects that were given to him during his occupation of Malheur National Wildlife Refuge. In Whitefish, Ammon Bundy drew a parallel between the oppression of Native Americans and his fears of federal and international control of public lands and violations of civil liberties, as outlined in so-called Agenda 21. “If a person was able to see inside me, they would be able to see how much compassion and respect I have for the Native American community,” he said. “They have suffered the same exact thing that we are going into.” When I asked Cliven Bundy in February how he reconciles the fact that the land he claims rights to was once Southern Paiute territory, he only offered: “They lost the war.” In fact, the land the Bundys still graze today has a complicated history, and was once inside the Moapa Band of Paiute Reservation. Love Lives Here, a local group affiliated with the Montana Human Rights Network, along with the Montana Wilderness Association and the Montana Wildlife Federation, held a counter-rally in Whitefish that had nearly 400 attendees. Note: This story has been corrected to reflect that Elaine Willman has lived on three Indian reservations, not a dozen. Tay Wiles is a correspondent for High Country News. Email HCN at [email protected] or submit a letter to the editor.